Show the world that your favorite part of Christmas is the food. It's finally December, which means you're going to have a lot of holiday events coming up. If you don't want to wear a jingling elf costume or a full-body Santa costume, you're going to need an easier way to show your Christmas cheer. How better than the classic ugly sweater? 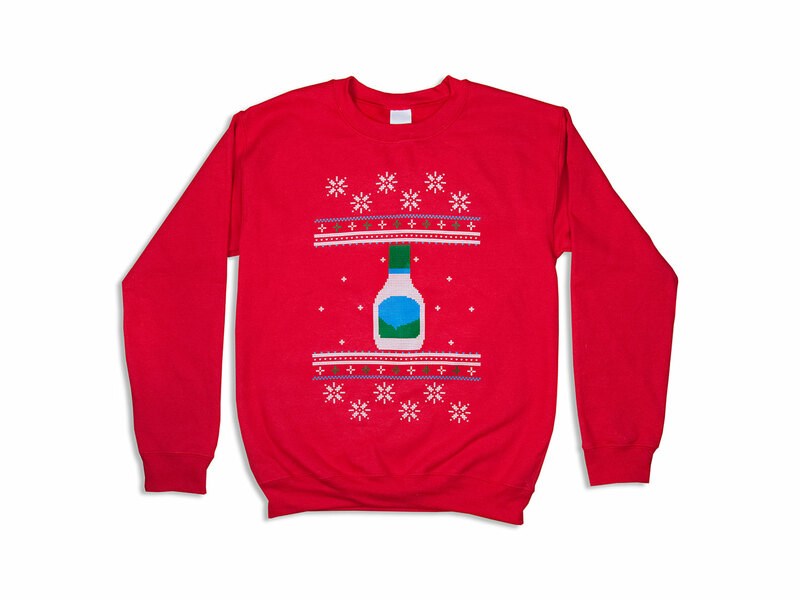 Here are some sweater options that celebrate your love of food. This one cuts straight to the chase. 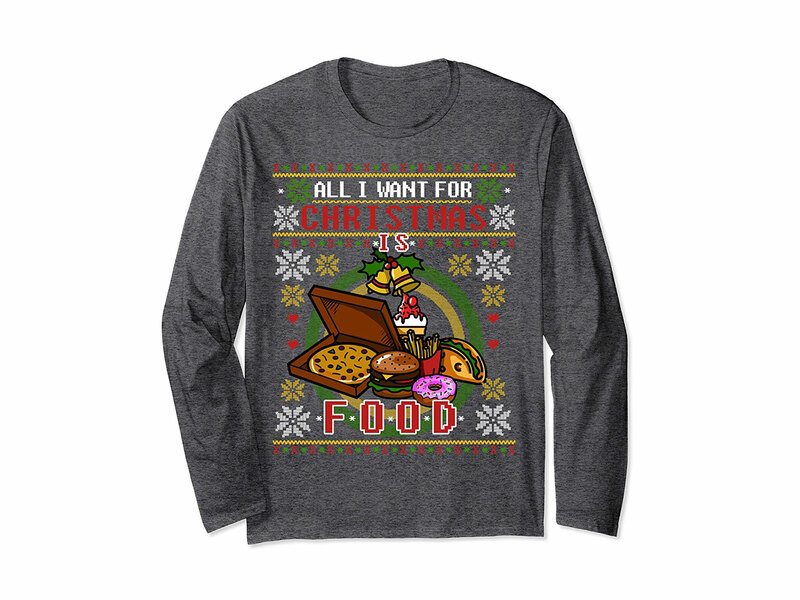 With its Christmas knit-inspired pattern, this shirt says, "All I Want for Christmas Is Food," while showing pizza, a burger, a taco, a donut, and an ice cream cone. 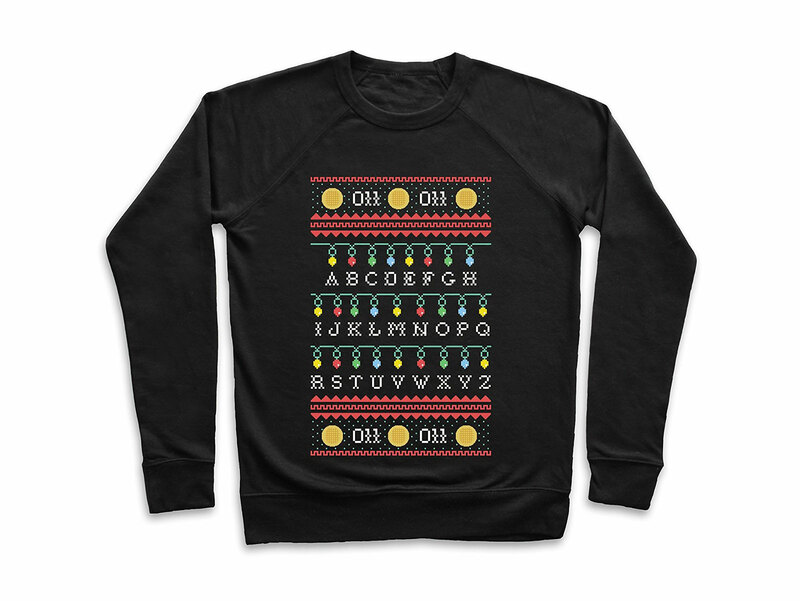 It's great, because it works as both a Christmas sweater and a wish list. 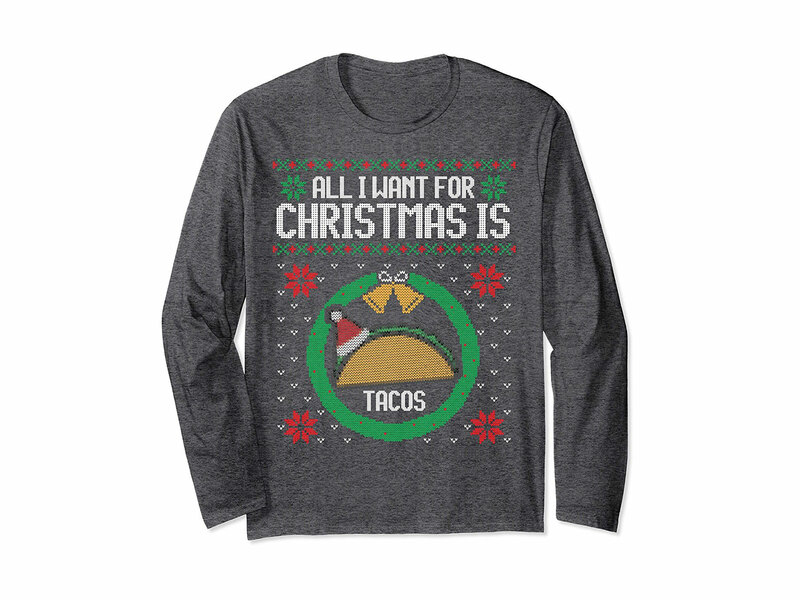 Speaking of tacos, this "All I Want for Christmas Is Tacos" shirt is great if you want your sweater/wish list to be a little more specific. 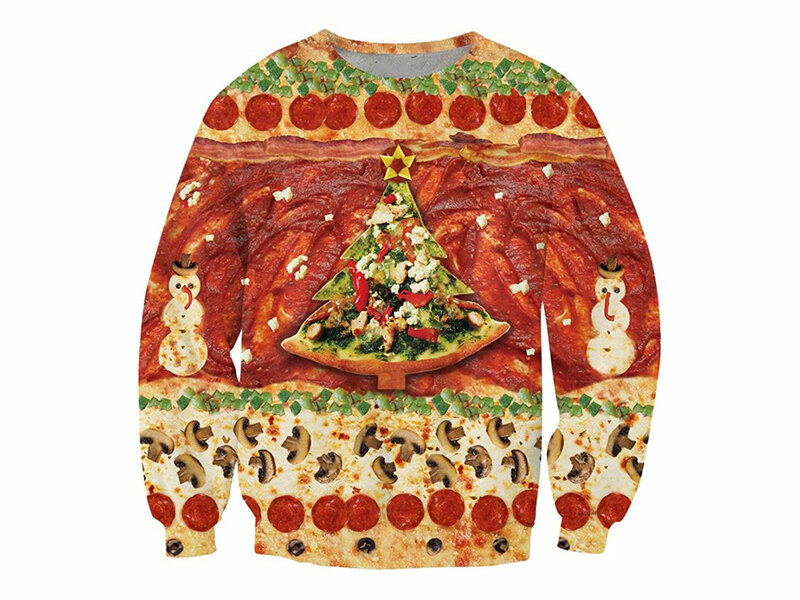 Pizza and its toppings make up the pattern in this clever take on the Christmas sweater. If you're more into sauces than slices, this ranch dressing sweatshirt should be on your list. 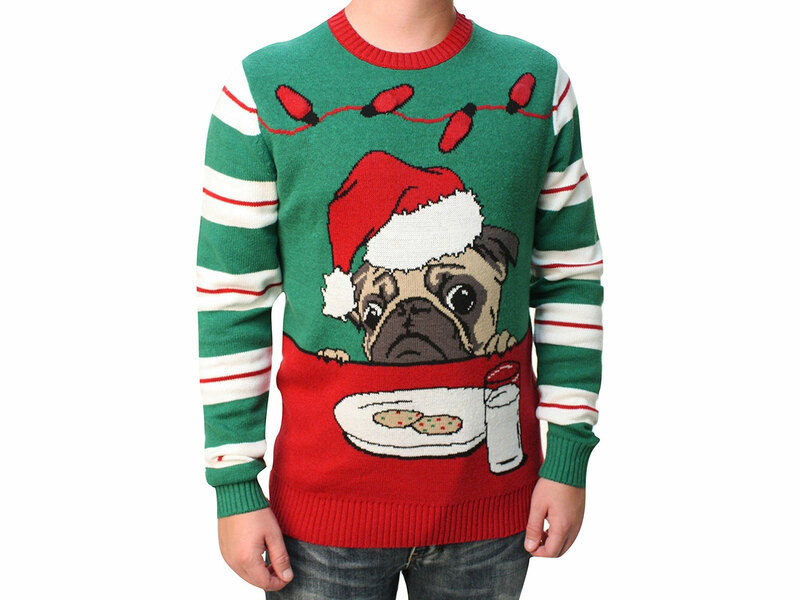 This knit sweater shows off your love of Christmas, your love of cookies, and your love of pugs (especially of Santa-hat-wearing pugs who are jealous of Santa's cookies). 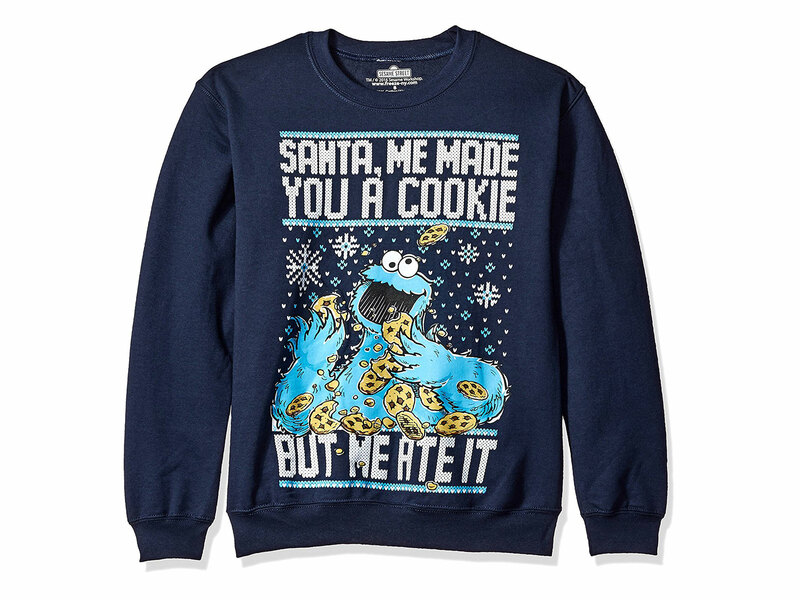 Another cookie option, this delightful sweatshirt features Cookie Monster who just can't wait to share his cookies with Santa. 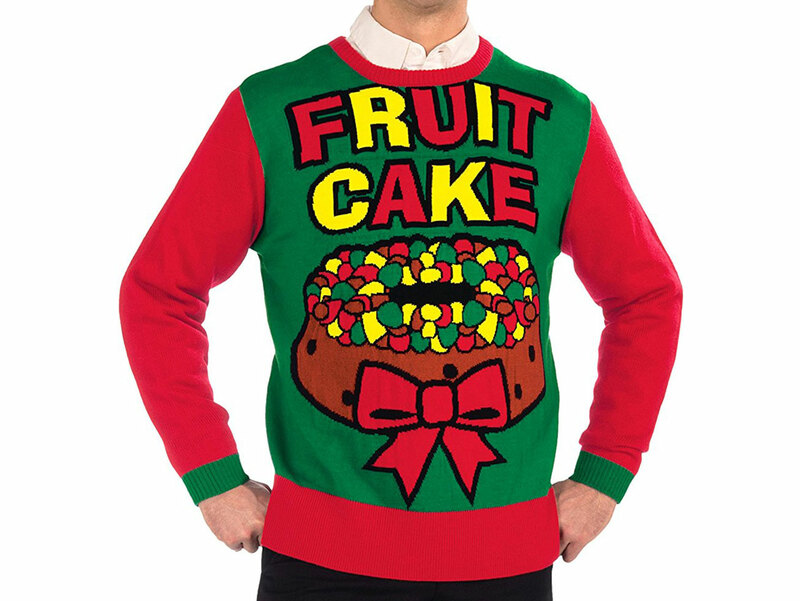 Sport your Christmas spirit and your pride with this colorful "Fruit Cake" sweater. 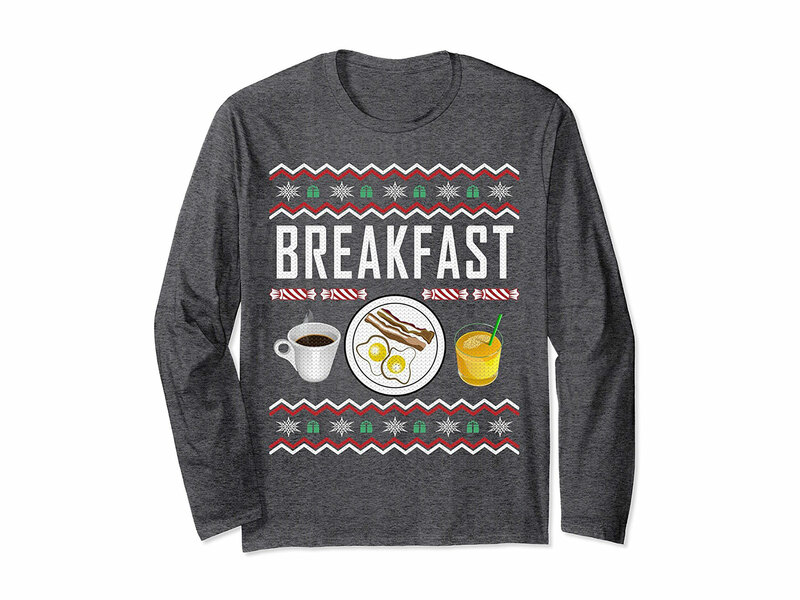 This Christmas sweater-printed shirt cuts straight to the chase, stating simply "BREAKFAST." Speaking of breakfast, show everyone how much you love waffles with this Stranger Things-inspired Christmas lights sweatshirt. 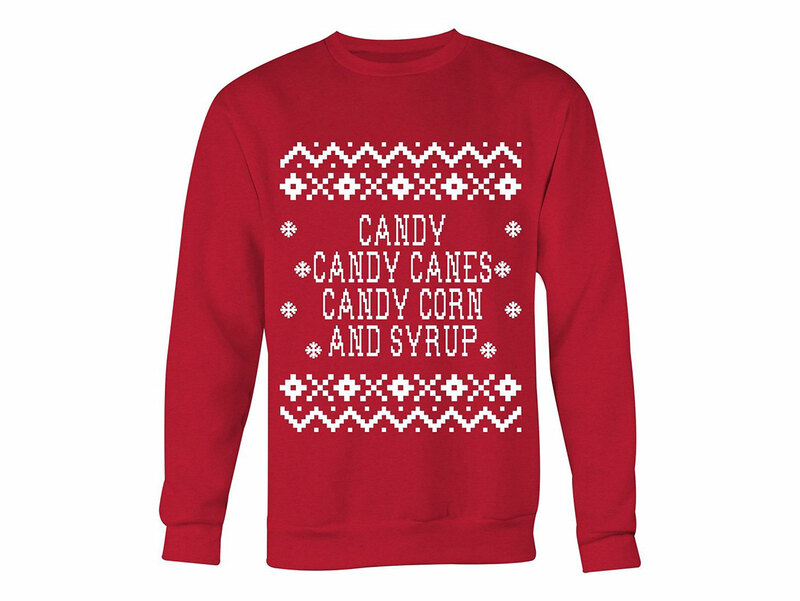 Make like Buddy the Elf and proclaim your four main food groups, "Candy, Candy Canes, Candy Corn, and Syrup" with this delightful sweatshirt. 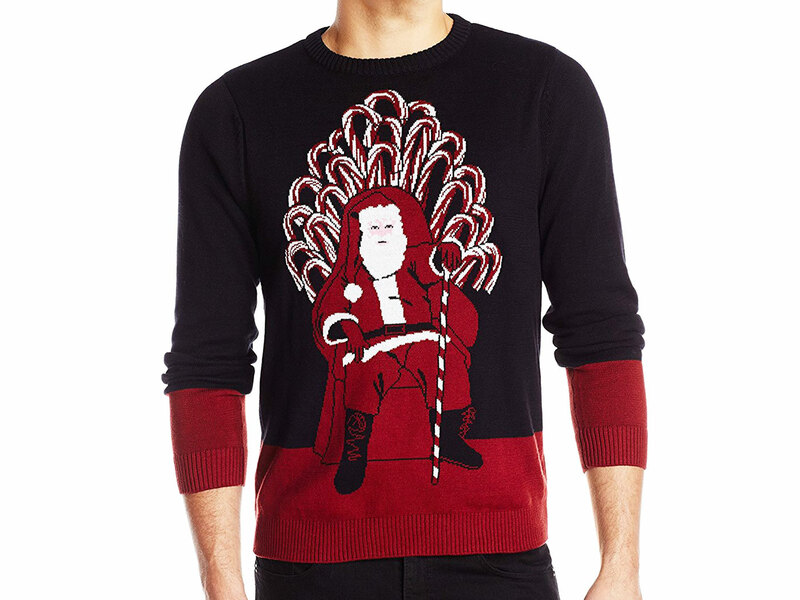 For the ultimate Christmas power play, try this sweater with Santa sitting proudly in his candy cane throne and holding a candy cane scepter. It's a great way to say, "Why yes, I am the king of Christmas, thanks for noticing."